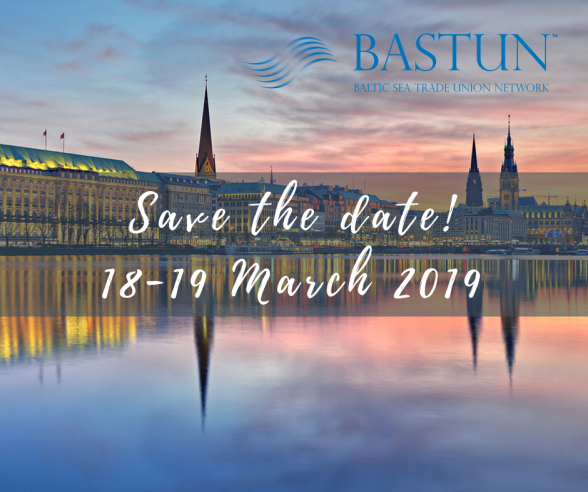 The BASTUN spring meeting will be organised March 18-19, 2019 in Hamburg, Germany. Save the date to make sure you will be able to join us in the spring. Last week October 2-3, BASTUN and NFS coorganised a Conference on Decent Work, in Riga . During the conference the issue of Decent Work was discussed from a variety of perspectives, from international and local to the branch specific. Among the prominent speakers during the conference were Sharan Burrow, General Secretary of ITUC, Pierre Habbard, General Secretary of TUAC and Kari Tapiola Special Advisor to the ILO Director-General ​​​​​​. During the conference the Action Plan for Baltic-Nordic Cooperation 2018-2021 was also published. The Action Plan is based on the Workers' Rights in the Baltics-report.